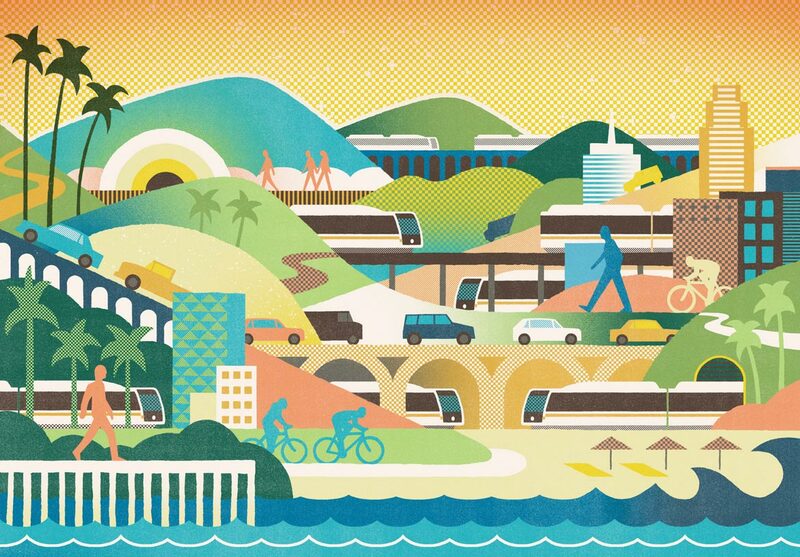 Andrew Holder worked with the New York Times on this illustration for the article ‘A Warmer, Fuzzier Los Angeles’. The article discusses the expansion of the expo line into Santa Monica, a step in the right direction but not necessarily a long term solution. To illustrate this Andrew has mashed up different sections of LA. Referenced structures include the Capitol Records building, the Hollywood Bown and Downtown Los Angeles. If you’re interested in learning more you can click here for the full article.